Fertility Clinic – Infertility, Rei Clinic & Fertility Treatment in Mission Viejo & Bakersfield. Patients benefit most from objective performance indicators. One compelling reason why patients seek care from Dr. Acacio is the success he brings to their journey of becoming parents. Acacio Fertility Center is one of the only REI clinics in Southern California that is rapidly growing. The most likely reasons for this are its high level of care and IVF success rates. Dr. Acacio's higher IVF success rates mean that his patients typically need fewer IVF procedure cycles. We look for the most direct path to your goal of having a baby. From the moment you sit down with Dr. Acacio for your initial consultation, you quickly recognize the gracious personal touch his team brings. It is not just about their medical knowledge and skills. Dr. Acacio also practices the art and science of infertility medicine. 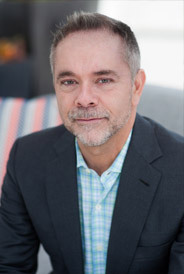 Dr. Acacio is a fertility specialist who uniquely identifies with his patients because he has personal experience with the IVF procedure process. That’s why he has instilled a culture of empathy and proactive service for patients in the Acacio Fertility Center. Dr. Acacio has been recognized by National Research Council as one of the "top obstetricians and gynecologists in the U.S." He has pioneered treatment techniques to help couples having difficulty with pregnancy. His clinical staff includes Sylvia Parrett, winner of the 2010 National Hope Award for Nursing. In addition to having IVF success rates among the highest in the country, Dr. Acacio's IVF clinic team leads with exceptional patient care. Sylvia Parrett, RN, MSW (clinical manager at Acacio Fertility Center) is the sole recipient of the prestigious national Hope Award in Nursing, presented by RESOLVE, the National Infertility Association. Discover today’s most advanced REI clinic at Acacio Fertility Center. Use our convenient Request an Appointment form.